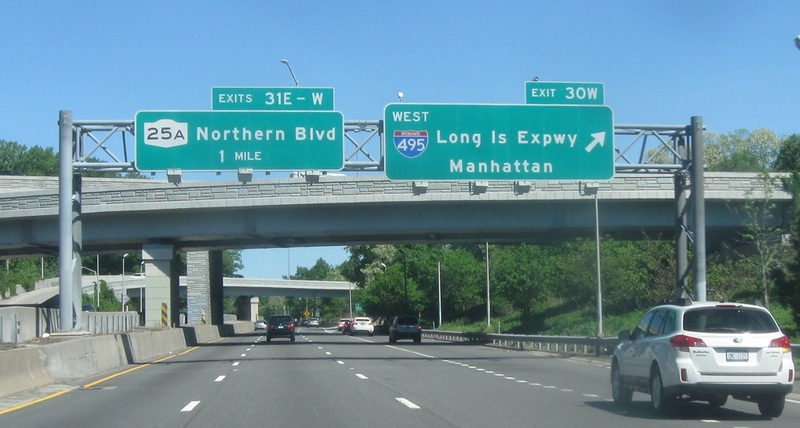 Just after the Grand Central, we’ll approach the Long Island Expressway/I-495. 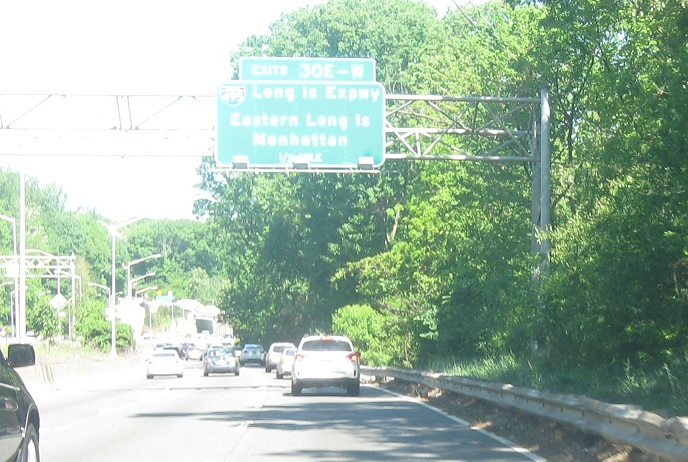 Exit for I-495 east to eastern Long Island. 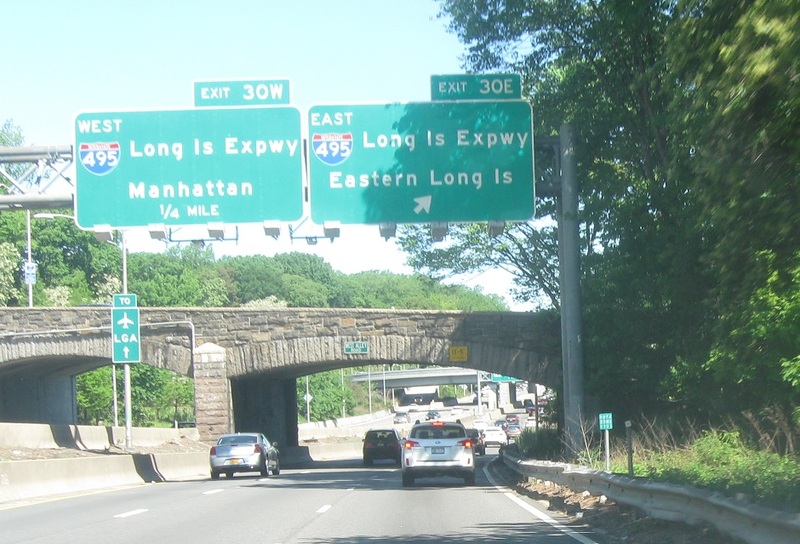 Exit for the westbound Long Island Expressway towards Manhattan. Junction Route 25A coming up in a mile.